What are you goals this year? Do you want to lose weight, have more free time or get in the best shape of your life? Whatever your goals are - my team and I are dedicated to providing you with the latest information, ongoing support and hottest products to get you there. This year our goal is to connect with YOU to help you look, feel and be your very best... naturally. We have a lot of exciting things happening such as the 3rd annual CityLine Weight Loss challenge. We have already started, so if you want to join along – see details below to get your start up package. And... if you haven't already heard – Dr. Joey's chocolaty Skinnychews are also available at www.skinnychews.com and at all GNC stores. My goal in creating them was to provide you with the perfect option for 3pm and nighttime cravings. Once you taste them – you will see why everyone is raving! If you are a dark chocolate lover, you can't go wrong. Skinnychews are gluten free, have 4 grams of inulin fiber per serving and are less than 20 calories per chew. They are the perfect bridge to your next meal or snack! If you want to burn belly fat, lose weight and boost your energy like my CityLine weight loss gals– join us! To get your weight loss start up package, click here. Dr. Joey's chocolaty Skinnychews – Afternoon snacking and nighttime cravings can often get in the way of healthy eating. This is why I have created Skinny Chews, the perfect chocolatey indulgence. Each chew contains less than 20 calories and each serving contains 4 grams of inulin fiber, a prebiotic fiber, which promotes and stimulates healthy bacteria in the gut and slow gastric emptying. The result – a sastifsying snack for hunger or cravings! There are no artificial sweeteners or colours and each chew is individually wrapped for the perfect "on the go" treat. 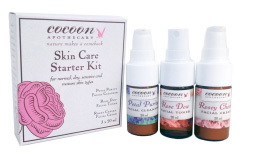 I have a new obsession with Cocoon apothecary's products. The starter pack is a perfect option to try. Each pack contains a Petal Purity Facial Cleanser, a Rose Dew Facial Toner (a spritz in the morning wakes you up!) and a Rosey Cheeks Facial Cream. Probiotic Pearls – It is beneficial to supplement with a probiotic to help restore the healthy gut flora in your digestive tract. 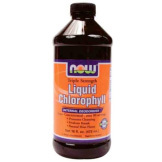 Liquid Greens Chlorophyll – Add a drop of liquid chlorophyll to your water once or twice throughout the day to help cleanse your blood and remove toxins and heavy metals, which can be especially high after having travelled. Chlorophyll can also detoxify your liver, and help to relieve constipation. Opt for the mint-flavoured chlorophyll to enhance the flavour and give your water a refreshing taste. Oh lemons... how we love thee. Although lemons are acidic outside of the body, once you eat them, they become alkalizing to our body, helping to restore our body's pH levels. Lemons are also an excellent liver detoxifier, which helps to restore bowel movements and boost our metabolism. Lemons are an excellent source of vitamin C, helping our bodies fight the common cold and flu. Try squeezing lemon into hot or room temperature water, every morning for two weeks and notice the benefits! While this little recipe below may sound simple, it is a "game changer" in terms of health. In addition to being rich in vitamin C, lemon squeezed into water acts as a natural astringent and helps with daily detoxification. Boil water, if desired, and put water in a glass or mug. Immediately squeeze lemon wedge into water. If you want to put the wedge directly into the water, make sure you wash the lemon beforehand. Add honey into mug and enjoy! Spoon lemon sauce over chicken in pan and turn chicken to cook for an additional 30 seconds. Top with reminder of sauce and enjoy! Combine ingredients for marinade and mix well in bowl. Add ground chicken or turkey, water chestnuts and mushrooms, and allow to sit for a 10-15 minutes. Heat 1/2 tablepoon of sesame oil in stir-fry pan/wok. Add chopped garlic and sautee till slightly browned. Add turkey mixture and stir-fry till brown and cooked through approx 8 minutes. Assemble lettuce wraps with a large scoop of meat mixture (1/4 cup) and top with bean sprouts and a drizzle of dipping sauce. As the seasons change from fall to winter and spring to summer, many of us may feel an alteration in our moods and health. This is a common occurrence for many people so no need to panic. 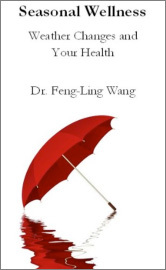 Feng-Ling Wang does an excellent job in portraying what changes one may experience between seasons and what you can do to help combat these weather-related changes. "I feel great physically, have significantly improved balance and have lost the aching joints. My energy has improved and I now embrace exercising at least four times a week. I now sleep throughout the night without waking up at 4 AM. My confidence has improved and I no longer avoid walking into meetings alone. I feel vital and alive. Good bye sluggy days!" And... for our London friends – Shulman Weight Loss London location is now open on Saturdays! !